This is the next post in my series on the handling of Peoria, Illinois criminal offenses involving juveniles. My last article discussed dealing with prosecutors in juvenile offense cases. It is important to understand that prosecutors in juvenile cases are often more likely to agree to a resolution which does not involve incarceration. As a result, your criminal defense attorney will be in regular contact with their counterparts. In this article I will discuss another important topic – what to expect during the Juvenile Court process. If you need assistance then contact my office today to speak with a lawyer. Juvenile offenses begin with an arraignment at which the accused youth will enter a plea of “guilty” or “not guilty.” The Court will set a trial date. Defense counsel will receive “discovery” from the prosecution. The discovery will include all evidence which the prosecution is required to provide under Brady v. Maryland as well as any arrest reports, witness statements, or other similar information. Counsel will conduct any necessary investigations. If a resolution is not reached then the matter will proceed to a bench trial; there are not jury trials in Juvenile Court. After all the evidence is presented then the Judge will issue a decision. Many juvenile cases stem from drug charges or other offense involving something which the youth had on their person. It is important to understand that juveniles enjoy the same Fourth and Fifth Amendment protections that adults do. This means that if a youth’s rights are violated by a police officer then it is possible to have illegally gained evidence excluded from Court Proceedings. Depending on the circumstances, such exclusion may result in the case being dismissed. The process of excluding evidence begins by filing a Motion with the Court. A Motion is a formal document in which the defendant states which evidence should be excluded from trial, the legal basis for the request, and facts which support the request. The prosecution will file an Opposition to the Motion and the defendant will file a Reply brief. The Court will typically an “evidentiary hearing” in which the arresting officers, and other relevant witnesses, will testify as to how the evidence was found. Defense counsel will have the opportunity to cross-examine the officers. At the end of the hearing the Judge will make a decision as to whether the evidence was illegally seized. Depending on the facts of the case, gaining exclusion of the evidence may result in a dismissal of the charges. If a dismissal is not possible, and a resolution cannot be reached, then it will be necessary to go through the trial process described above. 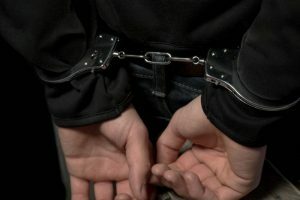 If your son or daughter has been arrested then it is important that you retain an experienced attorney to assist them. I am a former prosecutor and am familiar with handling matters in the Peoria area. Contact my office today to speak with a lawyer. My office also services the cities of Bloomington, Eureka, Galesburg, Morton, Normal, Pekin, Springfield, and Washington. I also serve the counties of Fulton, Knox, LaSalle, Marshall, Mason, McLean, Putnam, Rock Island, Schuyler, Stark, Tazewell, and Woodford. I also handle federal cases in Urbana.